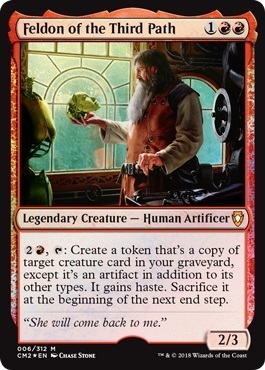 Card Text: 2R, T: Put a token onto the battlefield that's a copy of target creature card in your graveyard, except it's an artifact in addition to it's other types. It gains haste. Sacrifice it at the beginning of the next end step.